Looking for a better way to store your coffee mugs, to keep you beach blanket sand-free or to entertain the kids outside? We’ve found it! And it was at Kmart all along. 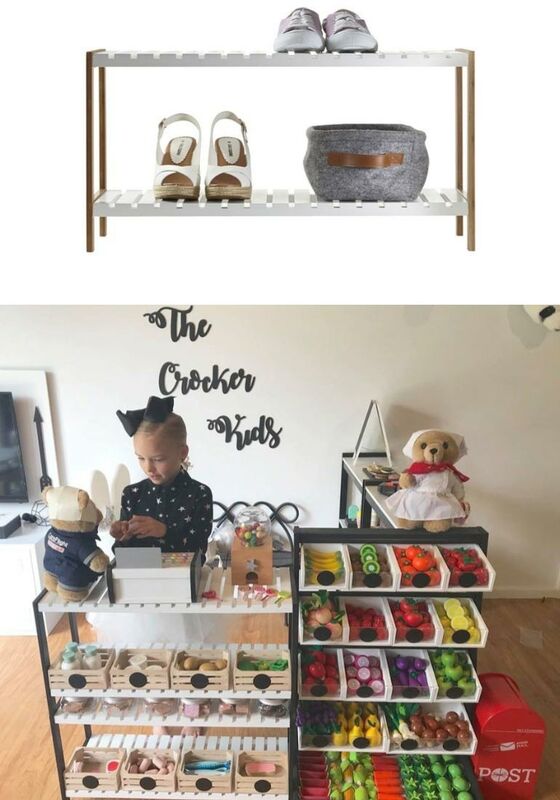 Make your house look neat, tidy and pretty AND find a solution to those all-too-common parenting problems with these 10 awesomely cool Kmart hacks. Heading to the beach? Make a stop at the Manchester section and pick up a $15 fitted sheet. It will be the best thing you’ve ever done. Simply place the sheet down and keep it in place using bags and an esky in each corner. 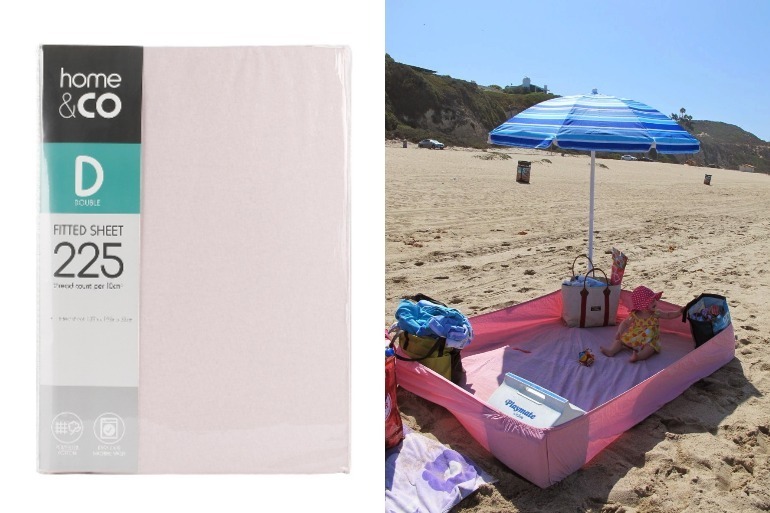 No need to constantly wipe sand off your beach blanket. And no need to bring half the beach home in your togs. 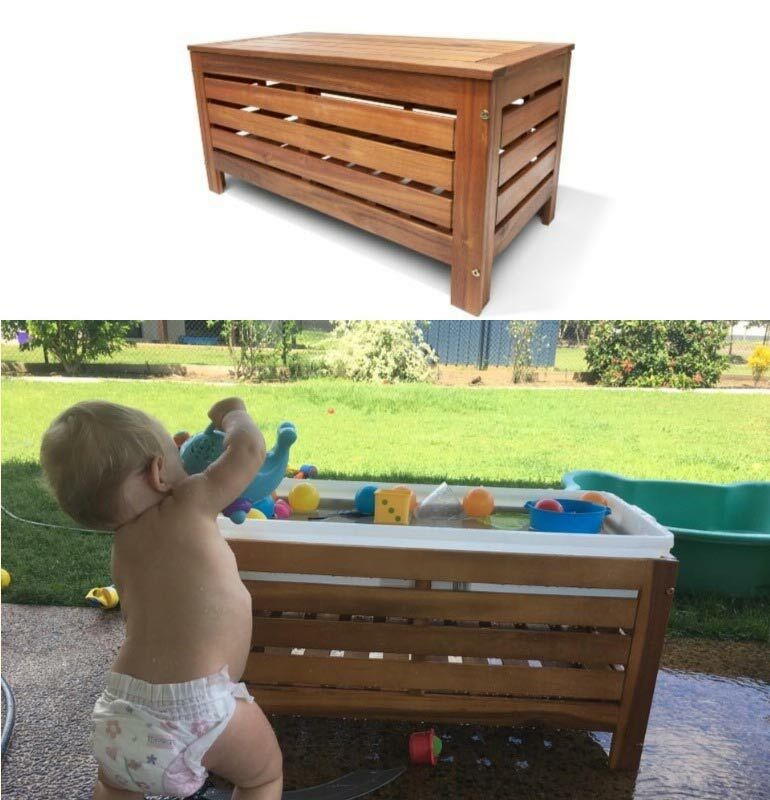 For more smart Kmart beach hacks, check out how parents are using this $49 beach trolley. 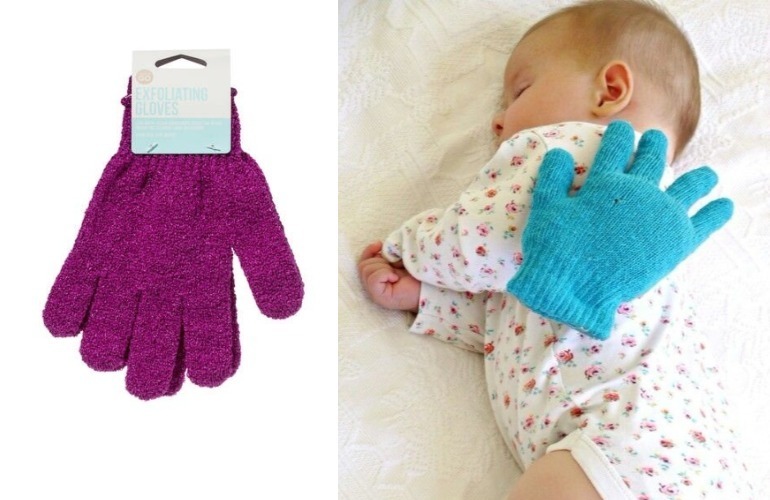 For the parent who has a child that requires constant touch to go to sleep, have we found a solution for you! And it will cost you $2. $2.15 tops (once you factor in the 15 cents for rice). Enter the Kmart exfoliating glove. 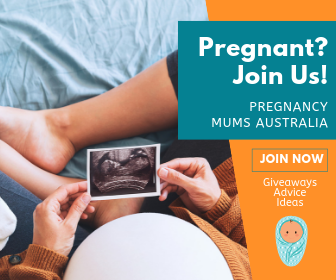 Simply fill it with rice, close it off super-tight, and you’ve got a weighted ‘mummy’ hand to take your place when you’re not there. Give your fussy eater a platter of treats to enjoy (or push away). Simply place a variety of different snack foods (strawberries, grapes, apples, cheese, crackers, nuts, carrots, etc) into a $5 muffin tin. These nifty little sections make mealtime fun. I still use this trick with my kids when dishing up their after-school snack. 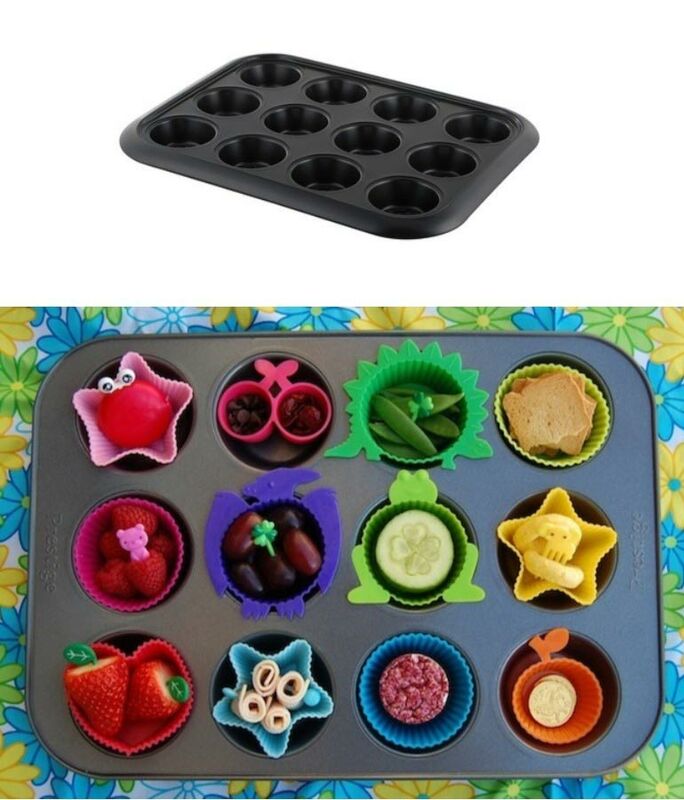 Pair your muffin tin with these $1.50 cupcake moulds if you like. Looking for an easy way to store all the kids’ toys? Head to the Outdoor Living section and pick up one of these $45 outdoor timber benches. It doubles as a storage space and is perfect for all of those clunky, bulky toys the kids have accumulated over the years. 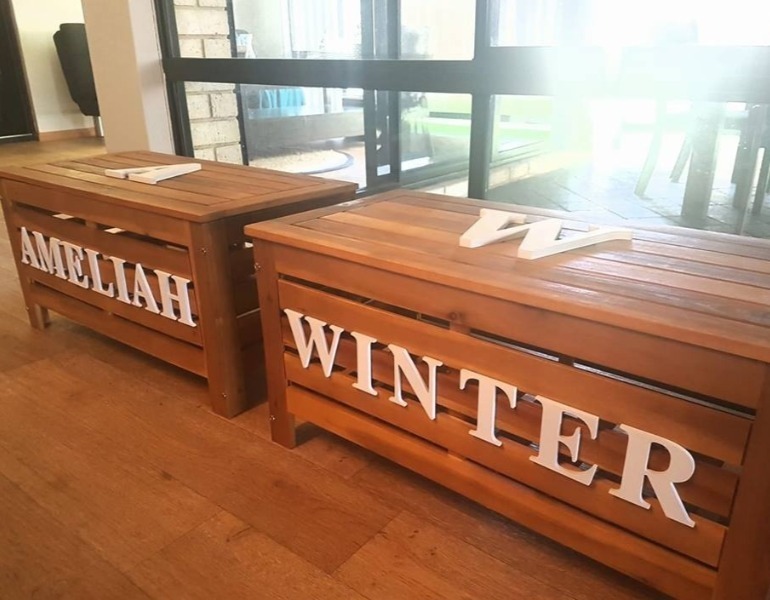 You can take it a step further by adding names to the box or even a little seat like these two clever Kmart mums did. For more toy organisation ideas, check out our Kmart toy storage hack article. 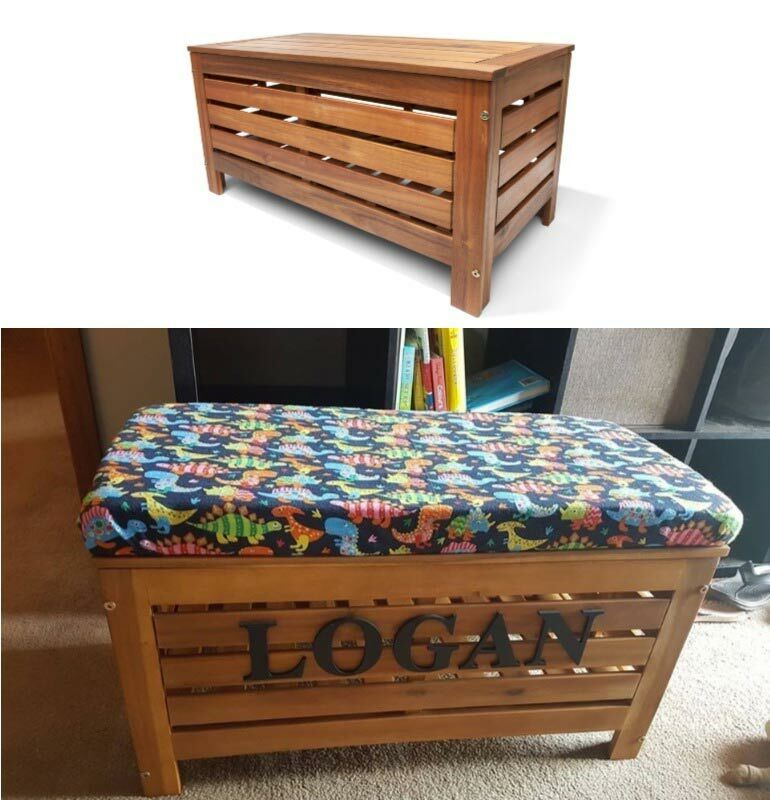 Another option for the versatile outdoor bench? How about a water play area for your wee one? Water play is always a fun choice for babies, toddlers and pre-schoolers and this homemade water table is perfect. In addition to the timber bench, you will need a large storage bin to keep the water. You can also empty the bin and place sand or coloured rice in for another sensory activity. Remember that godforsaken inflatable floating unicorn that came out around Christmas time? It’s not in store anymore but my guess is A LOT of us have one collecting mould in our backyards. 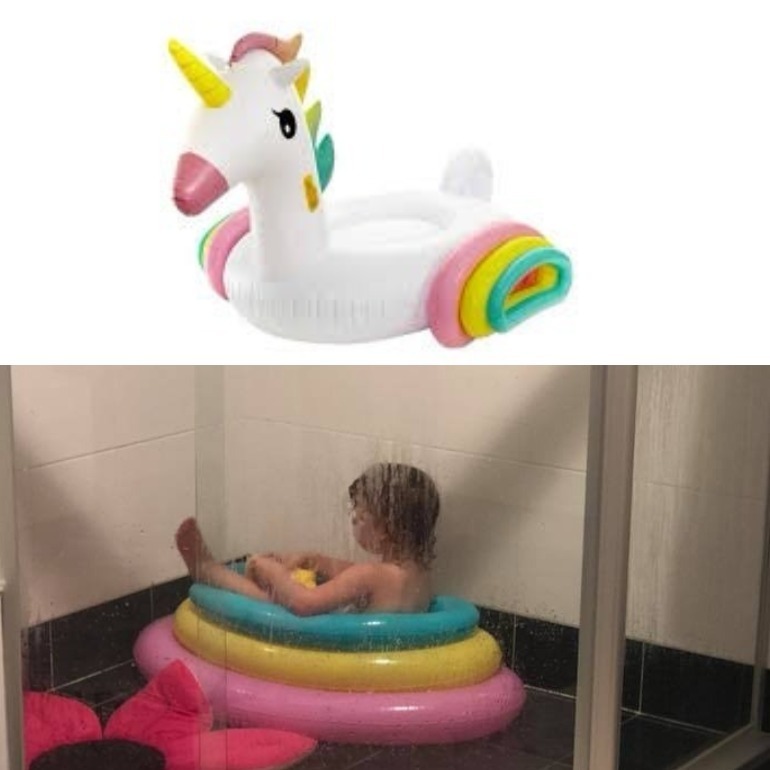 Anyhow, the massive floating unicorn didn’t last too long in our house before it flew away (aka, mummy popped the stupid thing so she could sit in her pool again without having to share it with an oversized mythical creature). But the unicorn lives on. Or part of it does. Simply pull off a wing and use it as a bath/shower seat for your little ones. Best of all, it hardly takes up any space. If you’re good with a sewing machine, then you might want to add this one to the weekend list of projects. 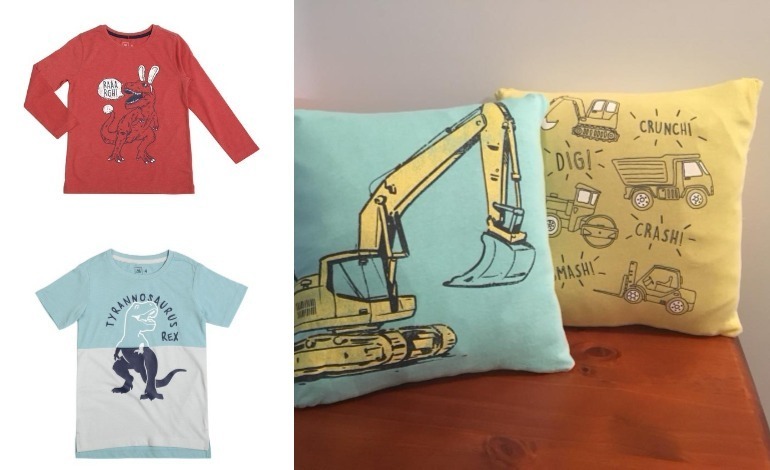 Take a cheap Kmart t-shirt and transform it into a cute cushion for the kids’ rooms. LOVE! 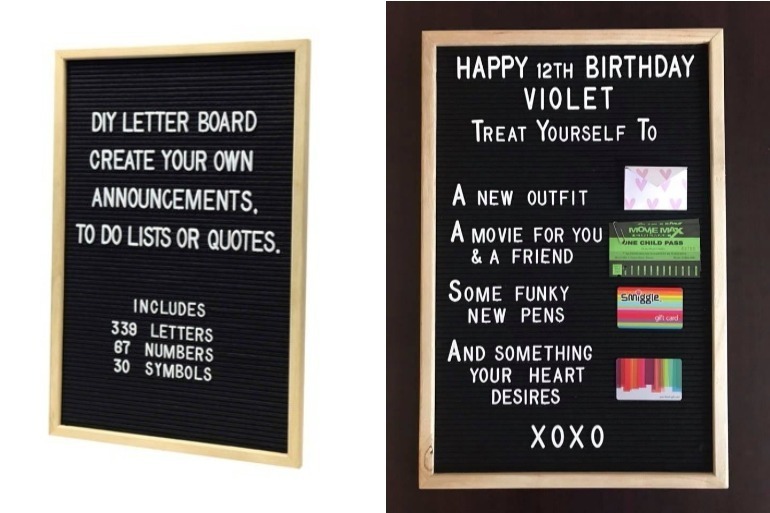 Another popular item for all Kmarters is the $12 DIY letter board. 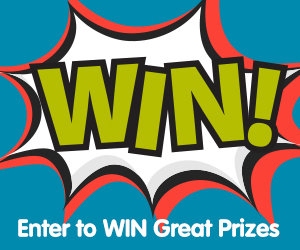 You can use it for announcements, for meal planning or as an awesome birthday gift for those people who are hard to shop for. We are absolutely loving this gift card idea! We’ve saved the best cool Kmart hack for last. A clutter-free coffee station! Make your morning routine a little easier with these cute containers and $15 rectangular wall shelf. 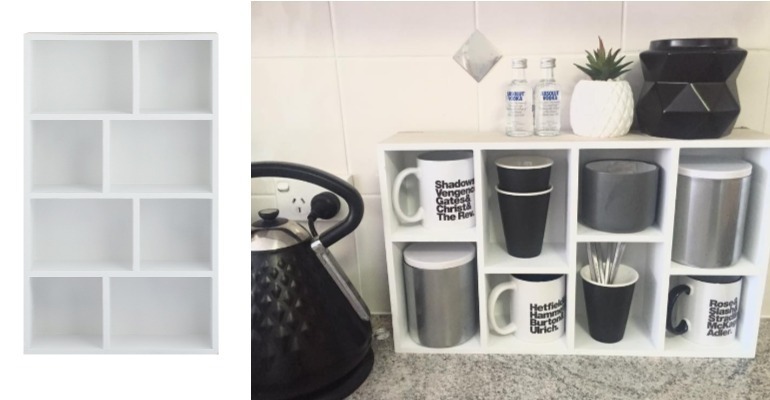 Each compartment is the perfect size for coffee mugs, candles, decorative succulents and jars of coffee, tea, sugar, mini vodka.. whatever you need to get through the day. Need more cool Kmart hacks? If you’re searching for more Kmart hacks, have a browse through our previous Kmart hacks article, featuring the popular Kmart beach trolley, towel rack and even a pet bed. 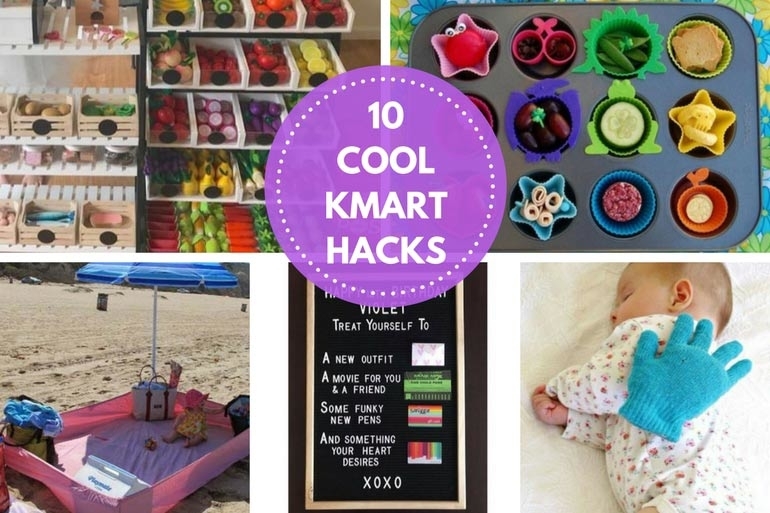 We’ve got Kmart hacks for Christmas, for back to school, for holidays and for everyday.